Do you have a water filtration system in your home? We are on well water and have a reverse osmosis system for our drinking water. Some homes have a full house filtration system that covers all of their plumbing before it hits the house, but our water quality is pretty good except for drinking purposes, so we only have a filter for the kitchen. 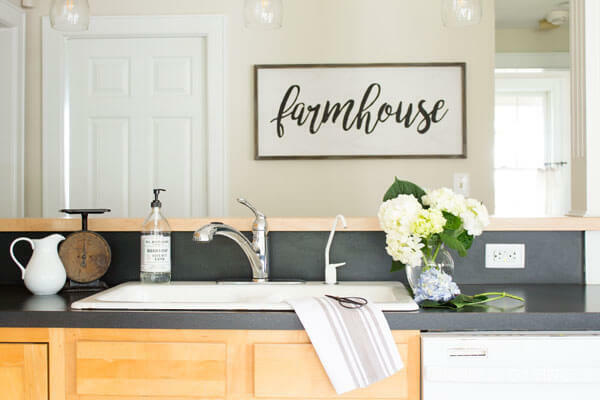 Finding reverse osmosis faucets that blend in with your decor can be tricky, but I'm happy to say we found the perfect fit! This post is in collaboration with Kingston Brass. This post contains affiliate links for your convenience. For more information, see my disclosure policy. If you are on well water and aren't sure if you need a filtration system, you should have your water tested. You can purchase an at home DIY test kit here or you can check with the environmental department for your county to see if they offer testing or perhaps have a list of local testing companies. If your water test results show you have poor water quality, you should seek expert advice on what sort of system you need. You may need a whole house system, a reverse osmosis system for cooking and drinking water, or you may simply need to have your water treated for bacteria. Your test results will reveal whether you will benefit from a reverse osmosis system like we have. 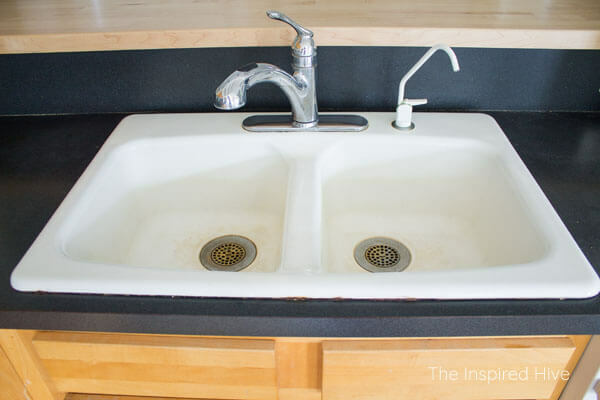 Our reverse osmosis system is mounted underneath our kitchen sink. One line runs from the system to the refrigerator for the ice maker and cold water dispenser. 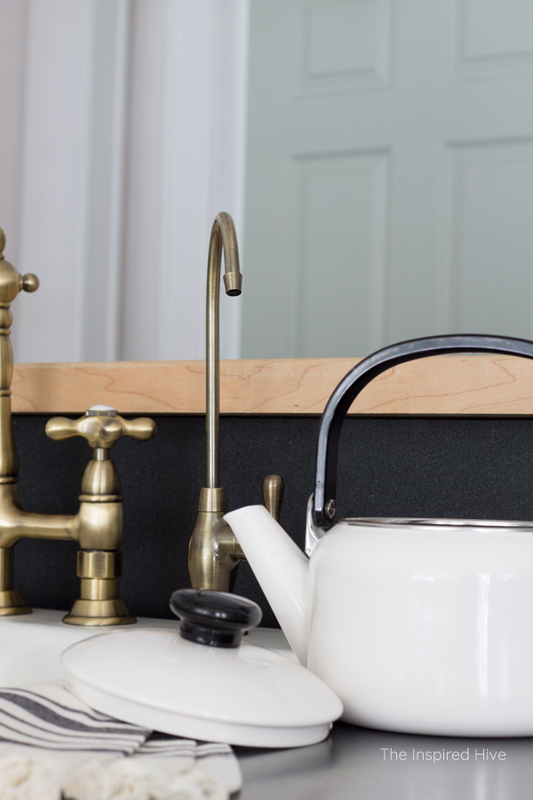 A second line runs to the filtration faucet which sits right next to our kitchen faucet. 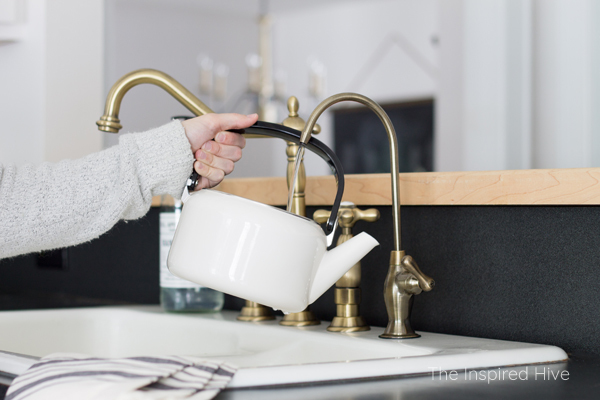 I bought a very similar one to replace it when we were updating our kitchen, but once I installed our new beautiful Heritage bridge faucet, the reverse osmosis faucet was very distracting and took away from its beauty. 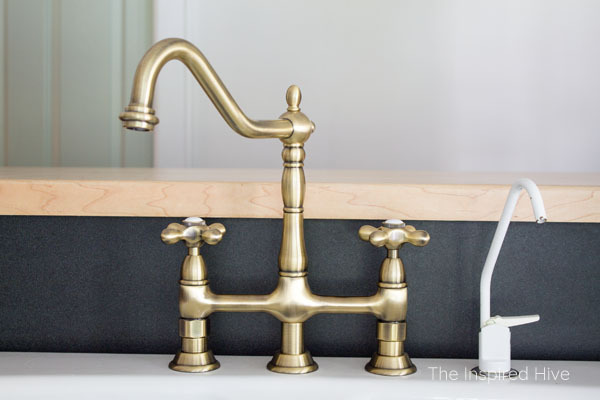 Then I found the Restoration air gap filtration faucet from Kingston Brass! 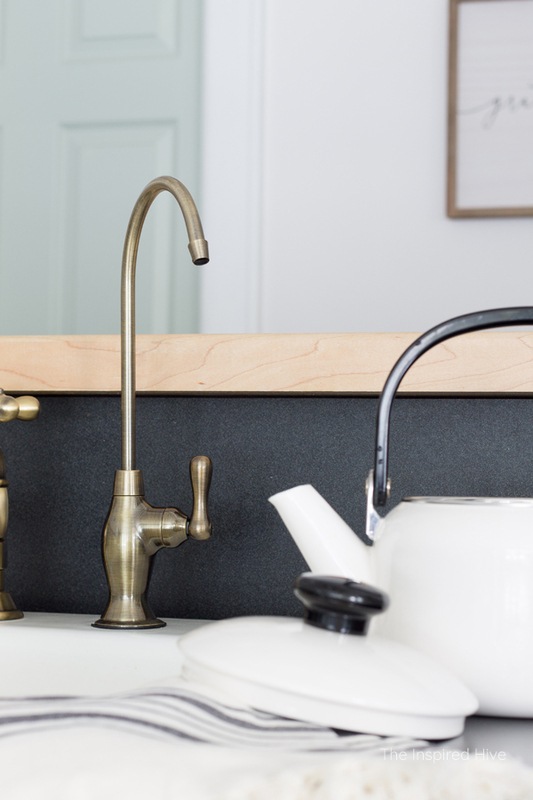 It is stunning, high quality, and the vintage brass finish blends perfectly with our kitchen style. Kingston Brass has a whole line of reverse osmosis faucets, so there is sure to be a style and finish that suits your needs! Who said filtration faucets can't be pretty?! 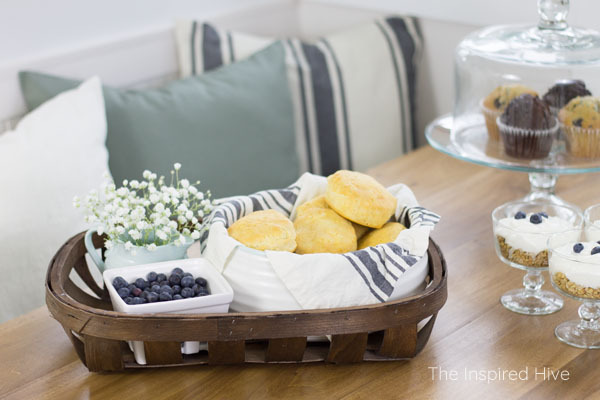 I'm so glad I found a stylish solution for our kitchen!